Mark is an experienced senior physiotherapist who focuses on developing a thorough understanding of your presenting problem and all the factors that contribute to the impact it has on your daily life. Mark will share his ideas with you, along with his findings from the physical assessment to work together on deciding on which management options are available and then to develop a plan to achieve the best possible outcome. Mark’s treatment programmes use a combination of three main approaches: manual therapy, exercise and education. This approach empowers people to fully understand their problem, allowing them to improve quickly and with confidence back to their normal life with reduced pain and increased ability. Mark has a particular interest in treating persisting pain problems, sports injuries (specifically golf, football and running) and spinal pain. 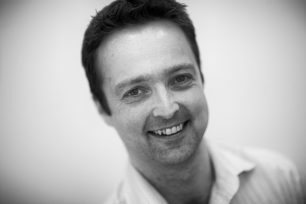 Mark qualified as Chartered Physiotherapist in 1999. He has vast experience in many specialities within musculoskeletal physiotherapy including working in a large London teaching hospital, work with the police and armed forces, occupational health, pain management and sports injuries. After marrying his Australian wife in 2005, Mark moved to Brisbane Australia where he lived for three years. During this time he worked in a very progressive clinic and completed a Masters degree in musculoskeletal physiotherapy at the University of Queensland. This gained Mark the Title of APA Musculoskeletal Physiotherapist.